Comes in 3 oz Roll-On. For the temporary relief of minor aches and pains of muscles and joints associated with backache, arthritis, muscle strains, bruises, sprains and cramps. 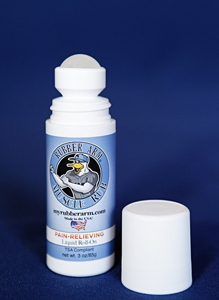 Roll-On Muscle Rub is easily applied by massaging directly into the muscle or joint.